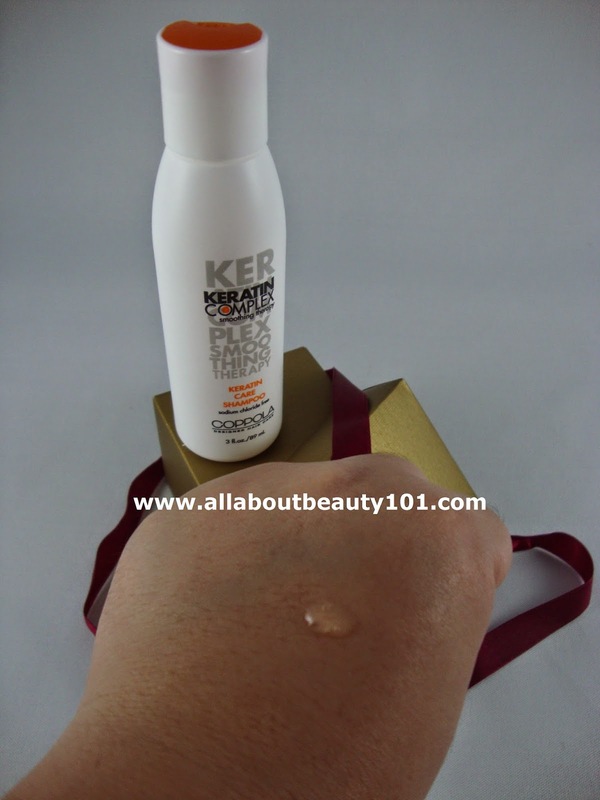 The brand Keratin Complex can be seen as displayed for sale items on famous salons like Piandre where I usually go to. The stylists usually recommends these Keratin Complex for strengthening and protecting the hair after hair coloring. 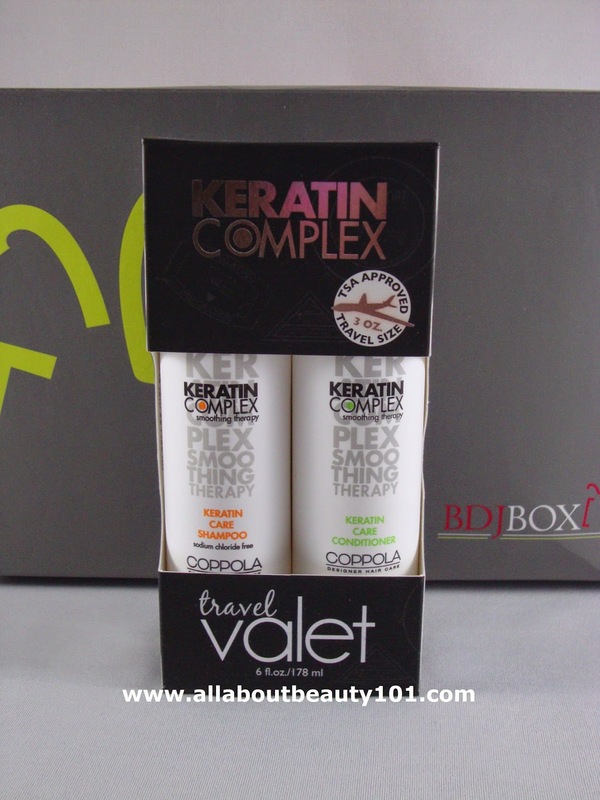 Through BDJ Box, I get to try this Keratin Complex at home. Fist pump! What is more enticing is I got a travel size pack that is Transportation Security Administration approved which means I will not have a problem bringing these goodies on a airplane ride. It is easy to place inside your travel bags. Product Description: Keratin care shampoo is a sodium chloride-free formula developed to gently cleanse without diminishing the precious nutrients in healthy hair. Keratin protein strengthens and protects against future damage. Hair is soft, smooth and shiny. It was developed to provide gentle cleansing that will not diminish the precious nutrients of healthy hair. This sodium chloride free formula enriches the hair with keratin protein for lasting protection. Directions for use: Apply onto wet hair and scalp, massage into lather and rinse thoroughly. 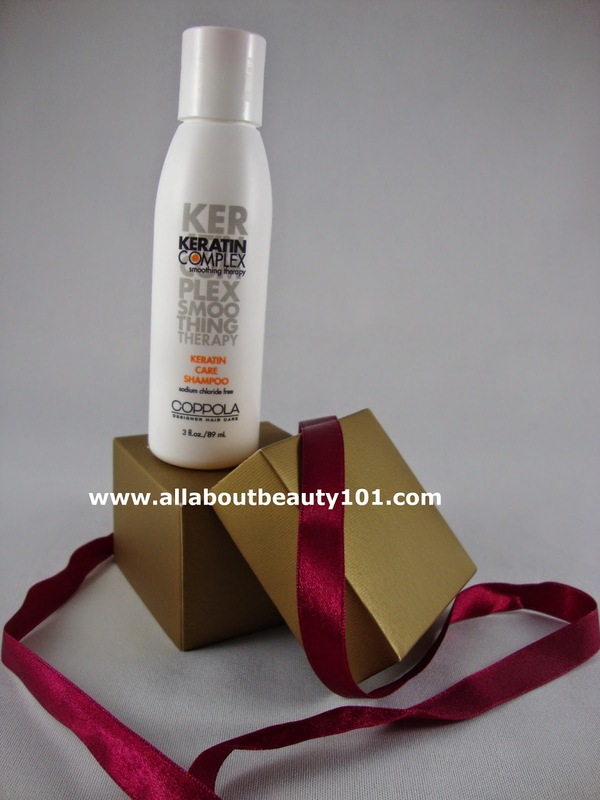 Follow with Keratin Hair Conditioner. Product Description: Keratin Care Conditioner is a daily use conditioner formulated with special intensive nutrients and keratin proteins that work together to nourish hair, boosting shine and manageability. Detangles and leaves hair restored and protected. Excellent for dry, damaged or over-processed hair. It was developed with specially chosen nutrients and proteins that work in unison with keratin protein to maintain hair's shine and body. Works in symphony with our Keratin care shampoo. Directions for use: After shampooing, massage generously through wet hair. For extra conditioning, leave on hair for 1-2 minutes to allow for maximum infusion of keratin extract. Gently rinse.